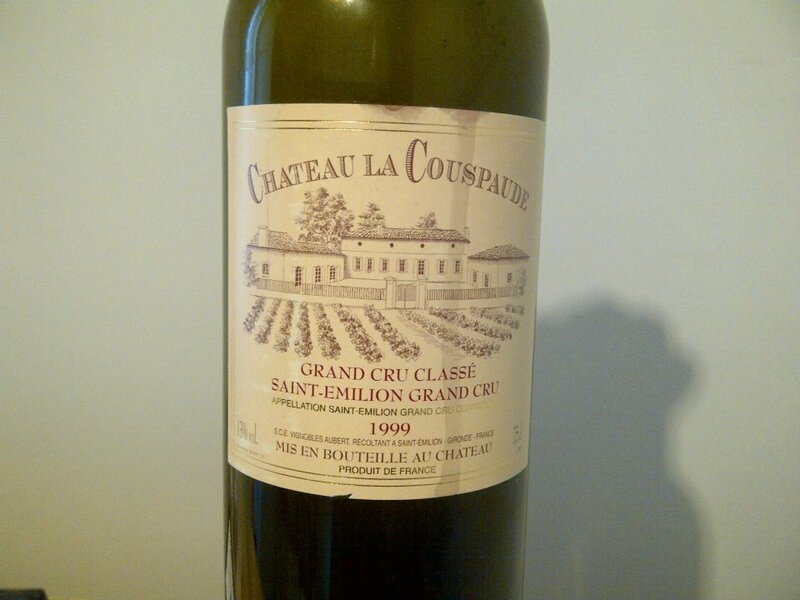 1999 was not a remarkable vintage, most likely considered a classic in Bordeaux terminology. I do not have too much experience with 1999 wines, let alone Bordeaux, so this was a great occasion for me to enrich my portfolio of wine memories. Robert Parker awarded the wine 87 points in ’01-’02 and advised to be consumed within 2-3 years. An evolved, saturated and a bit cloudy ruby red color with a pronounced brick rim. The color does not encourage for a longer keeping. The nose is fully developed, but somehow still youthful, intense and round, showing spicy and toasty oak, sweet plums, black currant, cedar, tobacco and old leather. Medium plus bodied, with completely integrated tannins, good acidity, mellow mouth-feel but still very enjoyable, with similar flavors on the palate. Short to medium spicy finish. The wine does not require any decanting, it is enjoyable straight from the bottle. I tasted the wine during two days and it did not improve on the second day, as a matter of fact it did the opposite: on the second day it lost some of the charming aromas from the nose, showed some rusty, metallic flavors and a shorter finish. I do not believe the wine will improve more from here, it will probably stay at this level for a few more years, but, for maximum pleasure, it should be drunk now. 13% alc. (88/100) on the first day, (86/100) on the second day. However, it was worth the 29 Eur I paid for it, at this level I would probably buy it again. Blend of 50% Merlot and 50% Petit Verdot aged for 18-24 months in new French oak barrels. A rather unusual blend of grapes for this part of France (Languedoc) where Grenache, Syrah, Mourvedre and Cinsault reign. Labelled as Vin de Pays des Coteaux de Murviel. This wine is not available on the market yet. We (I) all hope that one day (this year) it will be. I appreciate the company’s strategy to hold on to this wine until it gives the maximum pleasure. The same strategy is, sadly, used by only a handful of producers for some selected wines; in my opinion this shows that these producers value their clients as the winery takes some risks by sitting on a stock of wines for a few years without cashing out immediately. I attended a few weeks ago a tasting of a couple of Corsican wines that will be introduced to the Romanian market by SERVE and during this tasting Mr Aurel Rotarescu, Serve’s winemaker, shared his thoughts with me (I actually pushed the question and he kindly answered it) about Cuvee Alexandru: in his opinion this wine is ready to be enjoyed. After tasting the wine this week, I can only agree with him. It seems that their guys in Marketing and Sales are not yet convinced about that. This is 100% Cabernet Sauvignon coming from low yields of only 25 hl/ha from 30 years old vines from a special parcel that unfortunately does not exist anymore. The 30 years old vines gave their fruit in 2007 and then the parcel was replanted with new vines. Last time I tasted this wine was at the end of 2010. Back then, the wine had a charming nose, already developed, but it felt a bit thin on the palate. The aromatics on the nose were more complex than the 2007 Cuvee Charlotte, but Charlotte was more extractive and felt more compelling in the mouth. 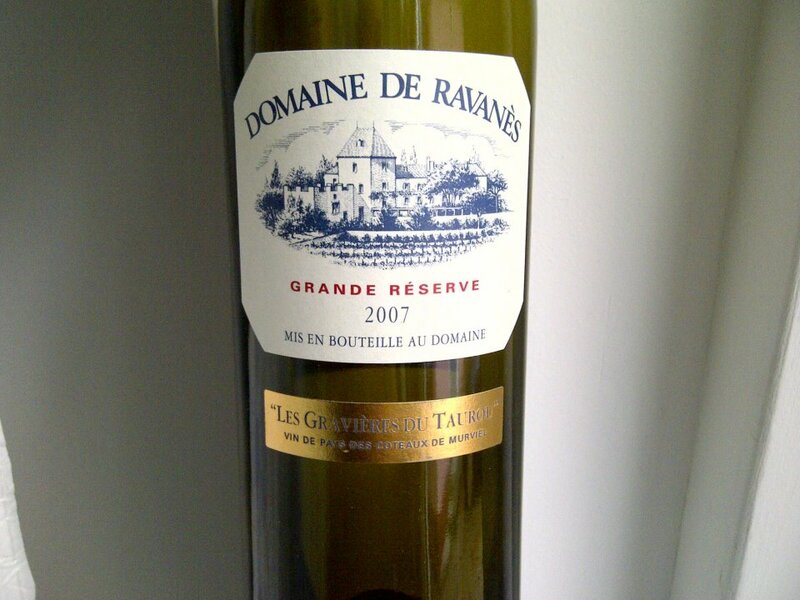 *Disclosure: just like the rest of my wine blogging colleagues, I received this bottle as a Christmas gift from SERVE. I attended a friend’s birthday party last night, also a passionate wine lover, and I was fortunate to taste an impressive line-up of wines from a producer I absolutely love. Domaine du Pegau maintains a classic style of wine-making, the wines not only age superbly, but they have a certain freshness and very good ability to drink, unlike the more modern, fat and heady Chateauneuf’s. 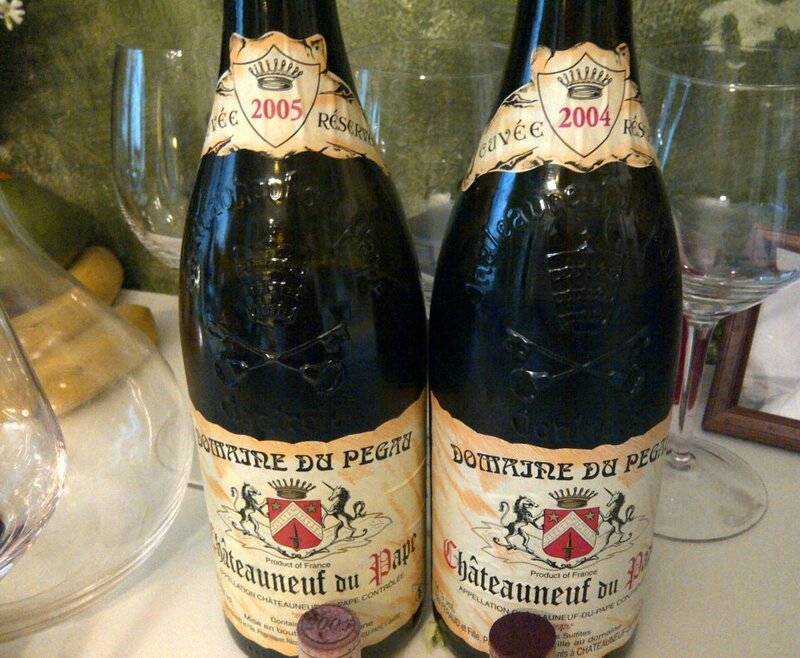 I already tasted a couple of times the 2004 Cuvee Reservee of Domaine du Pegau and always found it just a fabulous wine. Last night’s vertical consisted of 4 different vintages: 2004, 2005, 2006 and 2007. 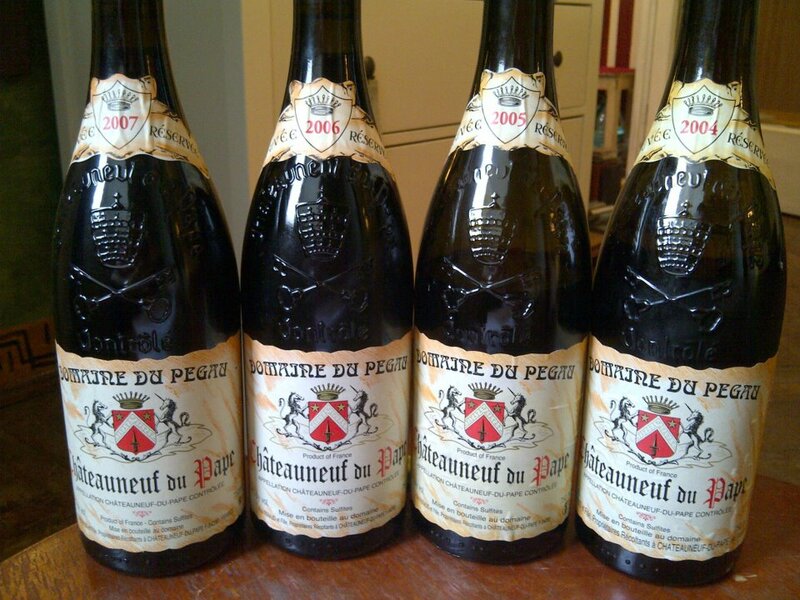 All four vintages were different in Chateauneuf du pape and the wines perfectly reflect those characteristics. – 2007 a superb vintage in Chateauneuf du pape and generally the Rhone valley – unlike the rest of France, producing wines with perfectly ripe tannins, hedonistic fruit and amazing accessibility already. – 2004 and 2005 have the most similarities: fine grained tannins, great freshness and a touch more mineral character. 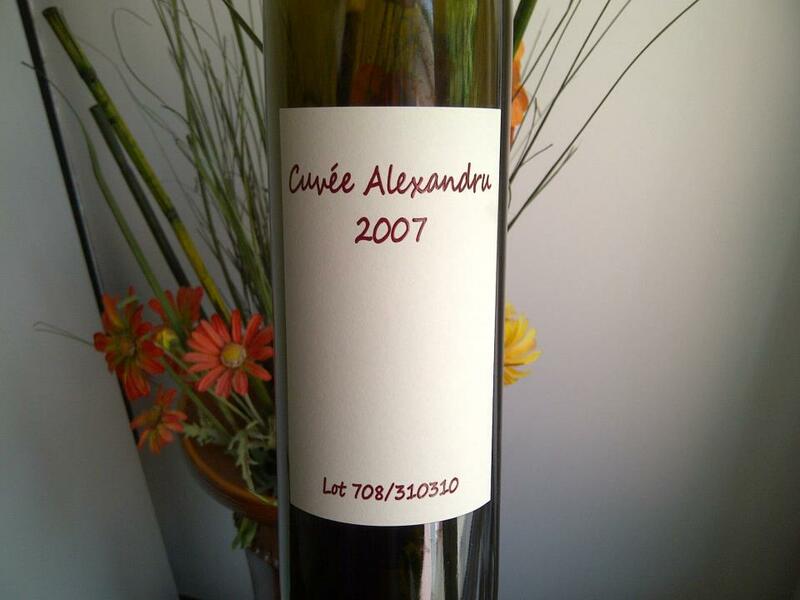 – both 2006 and 2007 have assertive and more pronounced tannins, bigger and riper fruit, while the texture shows more concentration on the palate. My absolute favorite was 2004 followed by 2007, 2005 and 2006 in this order. This wine was uncorked early in the morning, then re-corked and placed in the fridge for a slow oxygenation until 18:30 when we drank it. Even in these conditions, the wine still seems to hide more secrets. It was certainly a compelling tasting experience from a producer that continues to make stunning, classical Chateauneuf du pape wines. Bring me more please. Had a barbecue at home on SUN as the weather continues to be above the May’s average and it feels more and more like mid summer. As it was rather hot outside, I decided to choose a wine with a lower alcohol level. I’m not sure how it happens that, lately, my cellar visits stop in front of the cases with Champagne. It must be fate. I was eager to try this Champagne and, noticing the 12% alcohol on the back label, it seemed to be a good choice for an easy going fizz on a hot summer day. I could not have been more wrong. 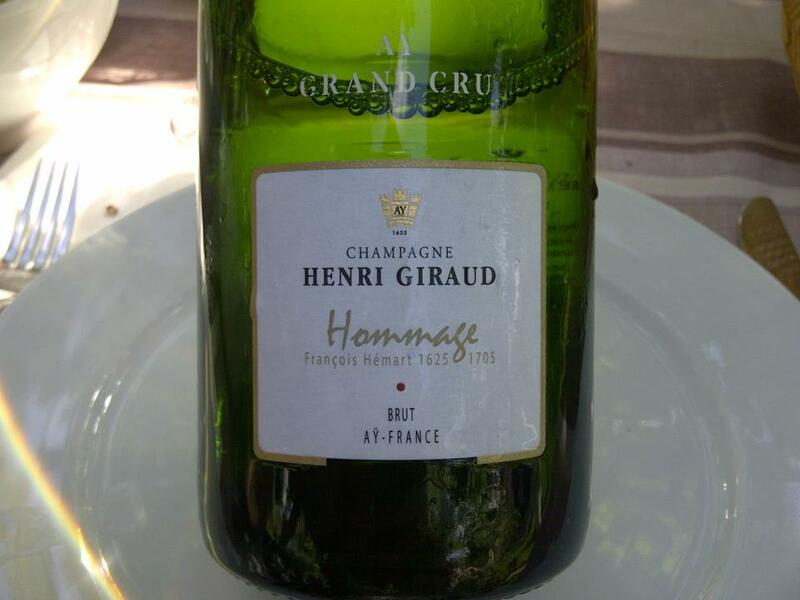 This Champagne is produced and elevated as a great white wine: it is harvested from Grand Cru vineyards, it spends 6 months on its lees in stainless steel tanks and then aged in small oak barrel for another 6 months prior to the secondary fermentation in bottle. The barrels use the same oak as Dom Perignon. The end result is a serious and rich fizz. Blend of 70% Pinot Noir and 30% Chardonnay. Dupa cele doua Sauvignon Blanc-uri degustate, a urmat o verticala de 4 ani si 5 vinuri Cabernet Sauvignon Stirbey: 2003, 2007, 2008 varianta normala si noua Rezerva lansata, si o mostra din butoi de 2010. Alegerea a fost realizata pentru a sublinia asemanarile si contrastele fiecarui vin ce reflecta diferentele de temperatura si precipitatii ale fiecarui an de recolta. Se poate observa stilul de vinificare care pune accentul pe echilibru si nu neaparat pe o extractivitate pronuntata, singurul vin putin atipic din aceasta degustare verticala fiind 2003, primul an de recolta. Cabernet Sauvignon 2003 a incorporat si o parte de struguri achizionati si provenind de la vite de vie mai batrane. Stirbey Cabernet Sauvignon 2003 are o culoare rosie inchisa aproape opaca, cu nici un semn de imbatranire, mai mult o caracteristica a unor vinuri mai tinere. Vinul a evoluat foarte bine, nasul afiseaza o complexitate buna, combinand arome de fructe rosii si albastre proaspete, ardei verde, cu cele de boaba de cafea, piele si cacao provenite de la evolutia in sticla. Extrem de tanar, chiar musculos in gust, vinul are o extractivitate buna si o corpolenta plina, cu o structura sanatoasa a taninurilor prezente inca, echilibrat, cu arome pronuntate pe palatin, similare celor din nas, si final mediu spre lung. Un vin ce debordeaza de tinerete, ce va continua sa evolueze in continuare cel putin inca 6-8 ani. 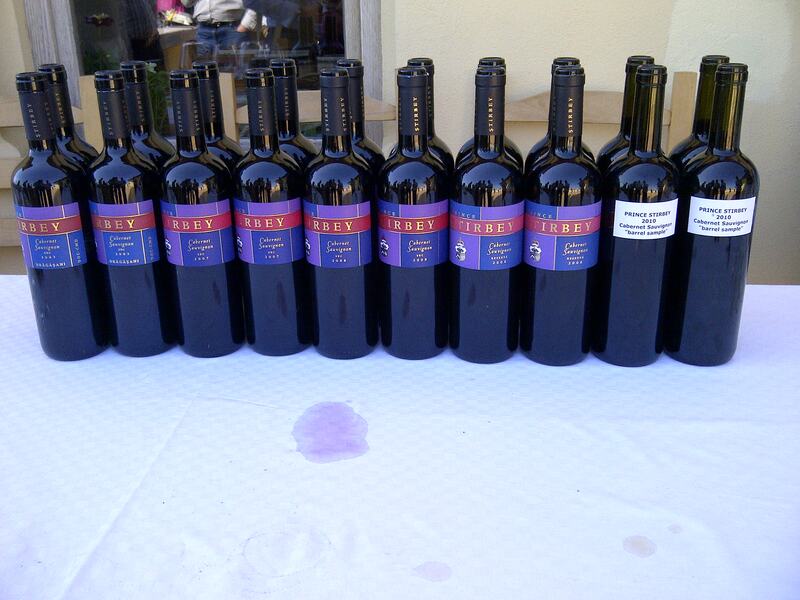 Stirbey Cabernet Sauvignon 2007 are o culoare rosie rubinie inchisa, cu o limpiditate buna. Este un vin ce pare mai evoluat decat 2003-ul, cu taninuri coapte si bine integrate, ce surprinde printr-o foarte buna definitie a aromelor de fructe rosii. Rotund, viu si accesibil, cu un final mediu spre lung. Vinul cel mai baubil, din punct de vedere al accesibilitatii, in momentul de fata din cele 5 oferite. 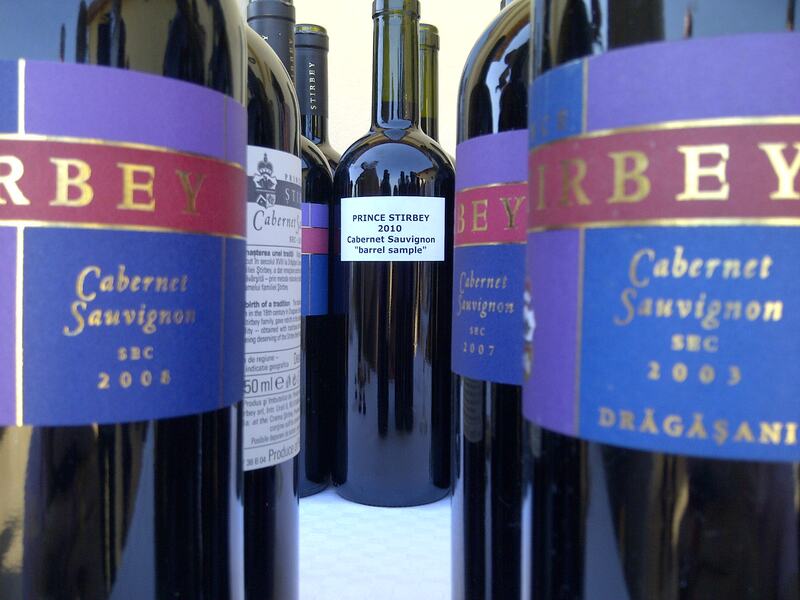 Stirbey Cabernet Sauvignon 2008 si Stirbey Cabernet Sauvignon Rezerva 2008 sunt vinuri foarte tinere, in plina evolutie, care ar trebui pastrate inca 2-3 ani inainte de a fi consumate pentru a dezvolta intreg potentialul. Cei care apreciaza fructul cu orice pret, pot miza pe Cabernet Sauvignon 2008. Rezerva 2008 aduce ca noutate o selectie mai riguroasa a celor mai buni struguri de pe anumite parcele si o maturare in butoaie de stejar mai indelungata, timp de 24 de luni fata de 14 luni pentru varianta normala. Vinul aduce o intensitate si o concentrare mai mare a aromelor (se simt si trufe), de asemenea aromele de vanilie date de baric sunt mai pronuntate. Aciditatea este buna, Rezerva are nevoie de timp pentru a-si atinge potentialul real. 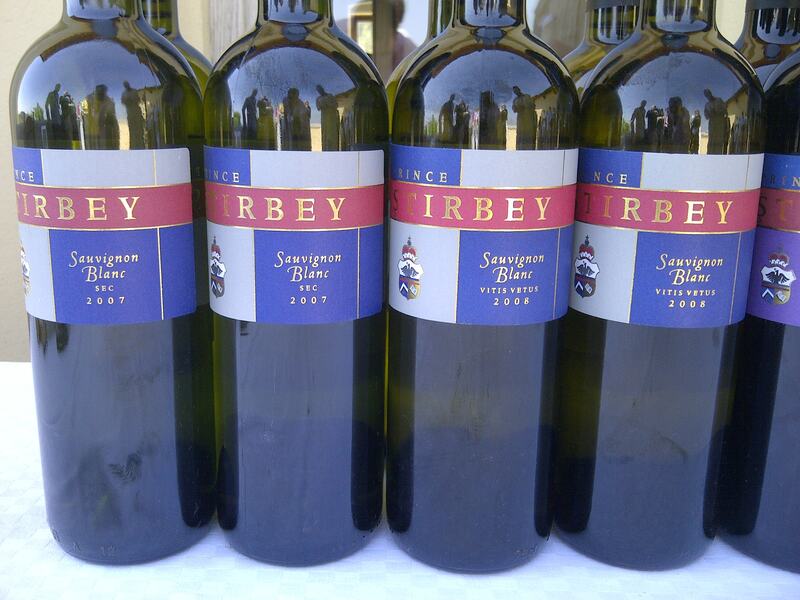 Stirbey Cabernet Sauvignon 2010 (mostra din butoi) este un vin inca neterminat, in plin proces de maturare, dar cu un potential foarte bun. Oliver Bauer il plaseaza in linia anilor 2003 si 2007, si il considera Cabernet Sauvignon-ul cu cel mai mare potential intre tot ce s-a produs pana acum la Stirbey. Primele vinuri oferite in cadrul degustarii de pe terasa Cramei Stirbey din a doua parte a zilei au fost doua vinuri albe cu ceva vechime: Stirbey Sauvignon Blanc 2007 “Lufthansa” – vinul achizitionat in totalitate de compania aeriana, si Stirbey Sauvignon Blanc Vitis Vetus 2008. Stirbey Sauvignon Blanc 2007 provine dintr-un an foarte cald si secetos, vinul oglindeste acest aspect prin aciditatea scazuta. De culoare galben pai, vinul pastreaza arome placute specifice Sauvignon Blanc-ului, dar in gura aceasta aciditate scazuta face ca vinul sa se simta onctuos, gras, lipsindu-i emotia. Finalul este mediu ca intesitate, dar lipsa aciditatii ii da un aspect de imbatranire prematura. Stirbey Sauvignon Blanc Vitis Vetus 2008 este un vin foarte tanar, de culoare galben pal cu reflexe verzui. Nasul este mult mai intens, proaspat, afisand arome citrice si minerale. Extrem de viu pe palatin, iti da impresia ca ascunde inca multe secrete, pe care o decantare de 1-2 ore sau, mai recomandabil, o invechire in sticla de inca cativa ani le pot aduce la suprafata. Fructul este vibrant si bine reprezentat, alaturi de o mineralitate placuta. Finalul este mediu spre lung. Un vin de pastrat si de urmarit in timp.